It’s been almost 15 years since I got my first DVR. If you follow a lot of TV media coverage like I do, nobody could fault you for thinking that DVRs are in nearly 100% of homes. That’s almost certainly the case for TV media professionals. But heading into the 2013-14 television season, nearly 14 years after the dawn of DVRs, Nielsen estimated that slightly less than 47% of homes* were equipped with DVRs. More than half the homes of the 115.8 million TV homes in the U.S. still didn’t have a DVR. More than half! I’m not saying 54.1 million homes* having a DVR is shabby. More households have DVRs (54.1M*) than dogs (49.3M) or cats (30.2M). And of course, more homes have DVRs than Netflix (or HBO). At least according to Nielsen, more households have a DVR than a video game console (51.45M). *Update: apparently Nielsen has notched the number up slightly since its 2013-14 Universe estimates were released and now has DVRs in 55.2 million homes. But still, most households don’t have a DVR. I’m regularly reminded of what an obstacle inertia is when I talk to my brother. He’s a few years older than me and while a big consumer of television, he doesn’t consume it in the same way I do. For years, all he had was the minimalist Comcast offering that provided only the local broadcast networks. For years I tried to convince him to upgrade to no avail. When he ultimately upgraded, my powers of persuasion had nothing to do with it. 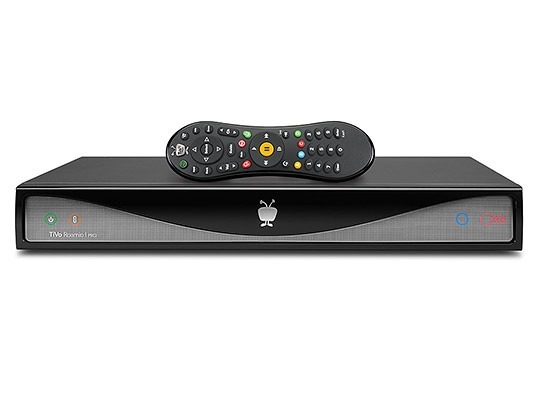 Comcast changed things so that to get even the minimalist broadcast network-only offering required a set-top box. At that point he figured if he needed a set top box anyway he might as well try out the full-blown cable offering. That worked out nicely for Comcast. Needless to say he’s enjoying cable. I expect he’d have a similar reaction to using a DVR. If I could convince him to get a DVR. But I can’t. Bro: I just go to the computer to check e-mails/scores, get a drink, go to the bathroom, it’s fine with me. And so it goes. A total failure on my part. I can’t convince him. In general, it’s not entirely related to inertia. DVR’s aren’t free, and expense + inertia is even more difficult to overcome than inertia by itself. But in my brother’s case, it’s just inertia.